Westin Hotel in Downtown Atlanta. The Westin is a popular option for more than just its familiar name. This historic hotel is the tallest hotel in the Western Hemisphere. The romantic Sun Dial Restaurant also sits perched at the top of this sophisticated hotel giving diners a stunning 360 view of Downtown Atlanta. The Marriott Marquis downtown is an exquisite hotel that boasts 1663 recently renovated rooms with all of the amenities one could desire including an upscale sports bar and one of the most beautiful lobby bars in the city. A somewhat recent addition to the hotels in Downtown Atlanta, the W Downtown is both a hotel and residential space with some of the chicest restaurants and bars in the city. For those stylish, fashion forward travelers who want access to high style and a trend-setting crowd, the W Downtown is the place to stay, be seen and party the night away. Not every visitor is looking for a luxury hotel while staying in Downtown Atlanta. For the standard hotel that offers up quality rooms, great location and excellent service, the Hyatt Regency fits the bill and so much more. Located in the heart of Downtown Atlanta, this classic hotel attracts business travelers in town for conventions alongside families visiting the many attractions Atlanta has become known for. For those who like the idea of staying at boutique hotels with their charm and intimate ambiance, there are several stellar choices available. The Georgian Terrace is one of the city’s premiere boutique hotels with its elegant yet whimsical approach to style. 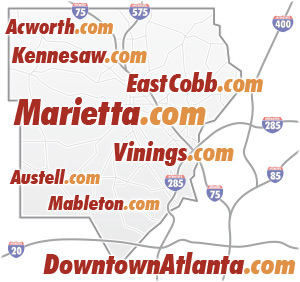 No matter what type of hotel you seek, there are several wonderful options available in Downtown Atlanta which makes this area a top destination for those traveling to Georgia. 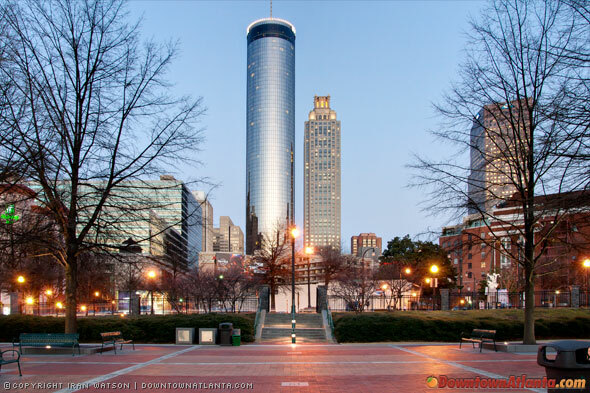 Known for its Southern Hospitality, Downtown Atlanta is the crown jewel of this bustling Southern city.